With the cost of portable 3D printers more affordable than ever, more blueprints for 3D prints you can experiment with at home are emerging in all sorts of open source communities. Of the many useful items, we’re digging the Ear Adapter which can turn your earbuds into headphones whenever you please. There are advantages and disadvantages to earbuds versus headphones, of course. Buds are smaller and easier to take around, but some people never get used to the feeling of in-ear plugs and the sound is incomparable to headphones. So why choose? The 3D printed Ear Adapter was created by Chilean-born, Paris-based designer JC Karich and offers a very basic frame so you can plug the buds into the pre-made slots and wear the entire device over your head. Having to print this at home means you can customize the color and size to best suit your comfort level, and the design even includes cushioning for long term wear. If the Adapter ever breaks, you can also always print out a new pair. Because the ear areas of the Adapter are quite small, don’t expect the frame to be completely noise-cancelling. To print your own, visit the product’s official page on Thingiverse for the full file, free of charge. 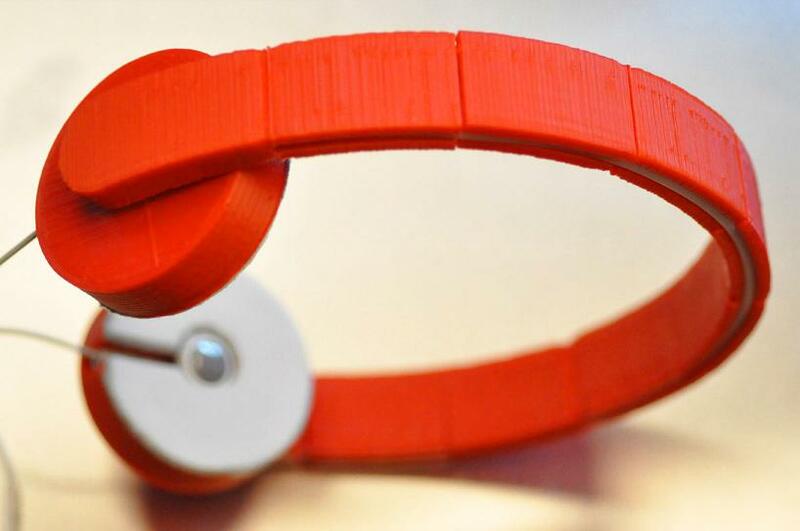 The design uses 3mm ABS or PLA plastic filaments, which can cost an average of $35 per single-color roll. It might not be the most comfortable design without the usual soft padding on the headband, but the Adapter is affordable and probably pretty fun to watch as the printer makes it come to life. Karich says he hopes to create a commercial version in the future so those at home without a 3D printer can enjoy the added convenience of transforming earbuds into headphones too. Watch the video below to see the making of the Ear Adapter.